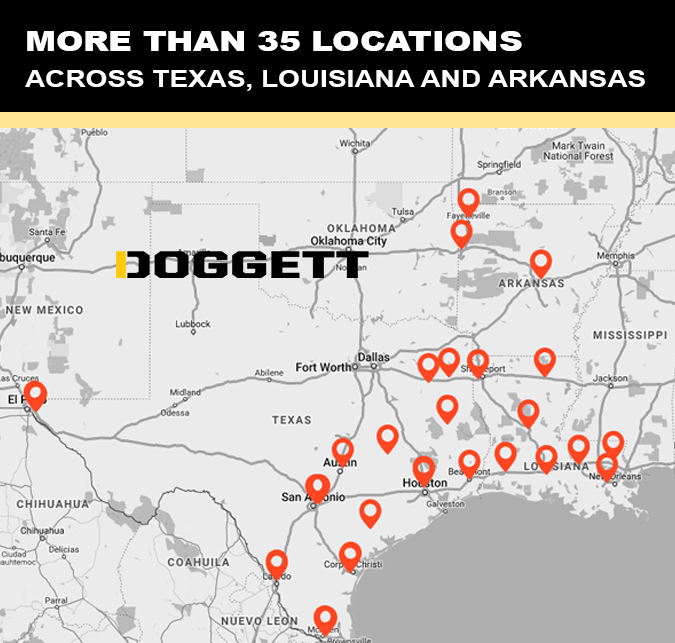 Doggett has more than 35 locations in 26 cities across Texas, Louisiana, and Arkansas. At Doggett, our employees are the heart of our business and we want you to build a long-term career with us. 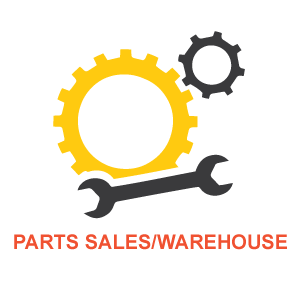 We offer opportunities in service, sales, technical, warehouse and much more. If you are looking for an organization where the work you do is meaningful and the relationships you build are lasting, look no further than Doggett Industries! "Doggett is a well-established company and Mr. Doggett has shown us in several ways that he isn’t going anywhere. 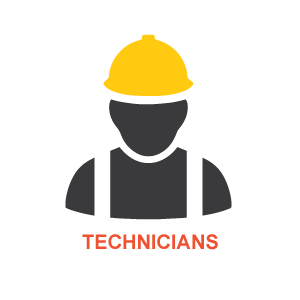 He provides us with the tools and training needed to get a job done and to be knowledgeable about the product." 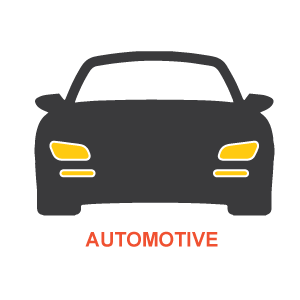 "I feel the company is very competitive and customer driven. It has the ability and willpower to stand out in the crowd to be the best of the best. Doggett takes care of its employees and that means a lot. If you are thinking about working for Doggett, you should give it a shot, I bet you will be glad you did!" "I love coming to work every day and the pay doesn’t hurt either! I believe that the workplace environment that has been created at Doggett is what is most special. It is very rare to find a place to work where you can make an honest living and look forward to coming into work every day." Doggett is growing and I feel like I can make this a lifelong career. Doggett offers security and upward movement opportunities that I feel are not offered at all companies. Doggett cares about its employees and their futures. 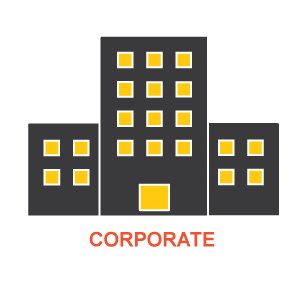 They promote from within and offer industry leading workplace experiences. 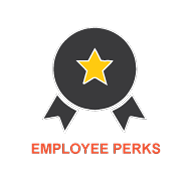 "This is a company that cares for their employees and is a trend setter in retaining employees with benefits outside of the pay scale." "I love coming to work. Every day there’s something exciting and brand new. Doggett gives me the opportunity to grow at what I’m good at. I can do multiple jobs and expand myself. I learn something new every day and it’s just an awesome experience." 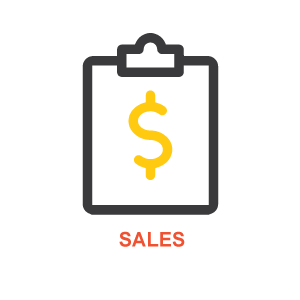 At Doggett, our employees are our most valuable asset. 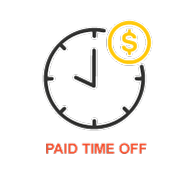 This is why we offer full-time employees a comprehensive, competitive benefits package to include medical, dental, vision, 401(k) plan, paid time off and much more. Doggett offers employees the flexibility to select the right health care coverage for themselves and eligible family members. 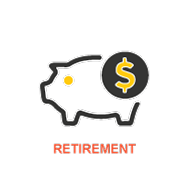 Choose from several plans, including a Health Savings Account (with employee and employer contributions). 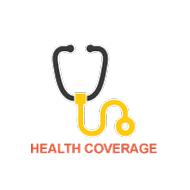 There are multiple coverage levels for medical, dental and vision plans, as well as Health Care and Dependent Care reimbursement accounts, life insurance, short- and long-term disability and accident coverage. Our competitive 401(k) retirement plan includes a generous company match which is currently 50% of the first 6% of the employee’s contributions. 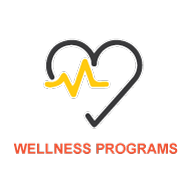 Doggett offers an employee assistance program designed to assist employees and their family members in resolving personal problems. 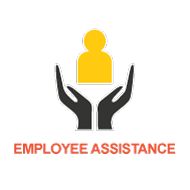 The Employee Assistance Program includes a wide array of other services such as legal consultation, senior care, and financial services. 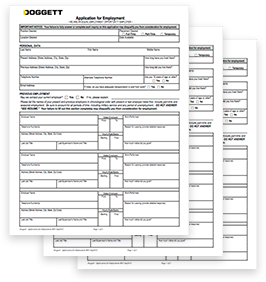 Doggett is committed to providing equal employment opportunities to all employees and applicants without regard to race, religion, color, gender, sexual orientation, national origin, citizenship status, uniform service member status, pregnancy, age, genetic information, disability or any other protected status in accordance with all applicable federal, state and local laws. This policy extends to all aspects of our employment practices, including but not limited to, recruiting, hiring, discipline, firing, promoting, transferring, compensation, benefits, training, leaves of absence and other terms and conditions of employment. 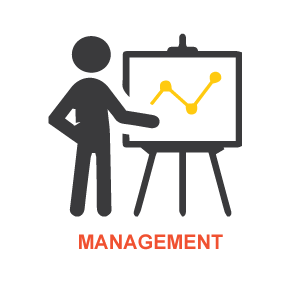 At Doggett, we understand the significant advantage of developing future talent. Through our paid Internship Program, students have the opportunity to experience life at Doggett in a hands-on, carefully monitored and meaningful learning experience, while being given the chance to apply classroom theory to “real world” situations. 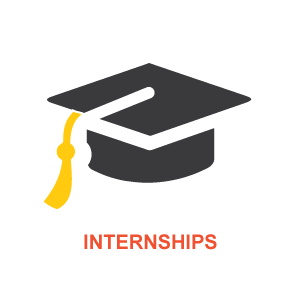 The goal of our internship program is to develop todays top performing interns into tomorrow’s long-term Doggett employees. If you are interested in applying for Doggett’s Internship Program, please submit an application and resume to HumanResources@doggett.com. Below you can view and apply to our open positions within the John Deere group in Houston, Texas. 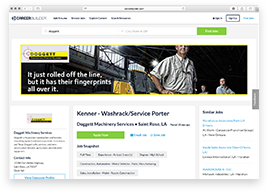 If you would like to apply for positions at any of our other Deere locations and/or divisions including Doggett Toyota Lift, Freightliner, Link-belt, or Ford, please download, complete and return an employment application to HumanResources@doggett.com. At Doggett, we salute the men and women that have served this great country, and we value their experiences and technical training. If you are a veteran and interested in working for Doggett, please submit an application and resume to HumanResources@doggett.com. With CareerBuilder you will never miss the latest Doggett job opportunities. 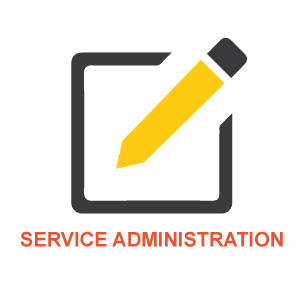 Accompany your resume with the Application for Employment when you apply for a job at Doggett.